Gift cards are a favorite among retailers – and consumers. Retailers love the instant cash injection that gift cards give them – and the many ways that gift cards can drive sales. Consumers love how cost-efficient, convenient, and flexible gift cards are – the recipient of a gift card can choose their own gift on their own terms, yet still enjoy a satisfying gift-receiving experience. And though just about every major retailer now offers a gift card option for consumers, there is still one important (and growing!) market where many companies – even large, Fortune 500 companies – lag behind the pack. Omnichannel gift cards. If you’re in the retail industry – or pay attention to retail trends – you’ve probably heard the word “omnichannel” before. But if you haven’t, let’s define it quickly – so that you can understand what, exactly, an omnichannel gift card is. “Omni” comes from Latin – it means “all”. And, in the retail business, a “sales channel” is any avenue through which products can be given to a consumer, and payment can be received by a retailer. Online purchasing is a sales channel, as is mail-ordering, TV ordering, brick-and-mortar sales – you get the picture. So, “omnichannel” is just that – a method of selling products that uses all channels – utilizing the most common forms of purchase to boost sales and provide a consistent customer experience. In modern terms, this usually means supporting both online and brick-and-mortar sales – if a company like Target allows you to buy products from its website, but also provides brick-and-mortar facilities, they are using omnichannel sales. So, a company focusing on omnichannel sales can provide multiple methods of purchase – online ordering, brick-and-mortar purchasing, and more. Where do gift cards fit into this? Well, the growing digital gift card market has had a large effect on retailers. Consumers are turning to the convenience of digital gift cards, and the market is expanding at a rapid pace. According to a report by Retails Systems Research – which we’ll reference throughout this piece – 81/100 surveyed retailers had some kind of digital gift card solution. So, it sounds like these retailers are already implementing omnichannel sales for the gift card purchases, right? Well, not quite. Despite the fact that these retailers offer digital gift cards, many of them are not truly omnichannel. This is because gift cards are unique – it’s not enough to just be able to purchase them on any platform. They also have to be redeemable on any platform. Many of these companies isolate their gift cards – digital gift cards can only be used online, physical gift cards may not be usable outside of brick-and-mortar-stores – and this leads to a confusing, unsatisfying consumer experience. To truly integrate gift cards into an omnichannel sales and marketing strategy, they must be redeemable (and purchasable) on each relevant sales channel. If retailers focus on implementing a robust, easy-to-understand omnichannel gift card strategy, consumers will enjoy increased convenience and flexibility – and retailers will enjoy increased gift card sales. Here are 5 reasons why it’s essential for retailers to integrate gift cards into their omnichannel strategies. Consumers are buying more gift cards online than ever. Purchasing gift cards online is simple, convenient, and offers instant delivery – even over long distances. This is one reason why digital, or “e-gift cards” are increasing in market share rapidly. Though they still represent a rather, small percentage of the overall market, digital gift cards are slated to hit a nearly $17 billion market cap by the end of 2017 – representing more than 10% of total gift card sales. It’s clear that digital gift cards are an awesome opportunity for retailers to boost their sales – but selling gift cards online is dangerous unless you have a truly robust omnichannel strategy. Many retailers still keep their physical gift cards and online gift cards separate – while physical gift cards can usually be used both in-person and online, digital gift cards are often unredeemable at physical stores – and are only useful for online purchases. This separation between physical and digital redemption can lead to extreme levels of customer dissatisfaction. Here’s an example. Bob lives in an area without a Home Depot, but his friend Jeff lives in another state, nearby a Home Depot. Jeff’s birthday is coming up – and Bob knows that Jeff wants to refinish his deck. Bob buys a Home Depot gift card online, and sends it to Jeff – and he’s thrilled. Then, Jeff tries to redeem the gift card in-person at Home Depot – but is told that his gift card is only good for online purchases. That’s all well and good, but Jeff expected to be able to use his gift card in person – it’s a valid gift card, isn’t it? He doesn’t want to wait for online delivery of goods – he expects to use his digital gift card as he would any other valid, physical card. This is at the heart of why omnichannel gift card redemption is so important. The disconnect between physical and digital redemption can totally torpedo retailer satisfaction ratings, and reduce the overall level of gift card sales. Omnichannel gift cards are extremely useful for opening your retail business up to new markets. If you have a truly robust omnichannel strategy that focuses on both physical and online sales channels, you can open yourself up to new markets quickly and easily. Think about it – if your customers can purchase all of your products online and in person, people who don’t live near your store become a valid consumer market. You never have to worry about people being unable to access your products simply due to their location – if they love your store and your products, they’ll always be able to shop with you, no matter where they are. This is true for both buyers and recipients, as well – a buyer who doesn’t live near one of your stores can still purchase a gift card and send it to a recipient who has easy access to your store – and vice versa. This concept is another one of the most crucial to understand about omnichannel sales – more options mean more consumers, and a larger market share, and a larger market share means higher profits. By focusing on providing a truly omnichannel gift card solution, your company can boost sales and customer satisfaction dramatically. Flexibility is one of the most valued aspects of gift cards – in 2016, 51.8% of consumers said that the flexibility of gift cards was the factor that most influenced their purchasing decision. So, clearly, the ability for consumers to choose how, when, and where to redeem their gift cards is a massive factor in the popularity of gift cards. Omnichannel gift cards increase this flexibility even further. By providing online and physical purchase/redemption options, consumers have more choice than ever. They can log on to your website and shop around if they’re interested in your e-commerce platform, or walk in to your store and browse your selections – and use the same gift card to purchase items both online and in-person. This is a double-edged sword, of course. A poorly implemented digital gift card solution can have the opposite effect – if you lack a seamless redemption method that can be used both online and in-person, you risk decreasing the flexibility of your gift card offerings, and alienating your customers. So if you do implement an omnichannel gift card solution, it’s crucial that you can deliver on your promises. Having a poorly implemented omnichannel gift card program can be worse for your business than not having one at all. Omnichannel sales strategies dramatically increase the availability and diversity of items that are available to customers. Because customers can purchase items both in-person and online, they are far more likely to be able to find what they want – even if their preferred products are out-of-stock at their local store. If customers are locked into a single sales channel when redeeming a gift card – either in-person or online – there is always the risk that the products they want won’t be in stock, and their gift card will go to waste. This leads to negative feelings towards the retailer – “What use is my gift card if I can’t even redeem it for what I want?” customers might think. However, offering an integrated online and in-person customer experience can solve these issues. Sephora is a great example of a retailer who does this well. At most Sephora locations, there are internet-connected computer kiosks that allow customers to browse what’s in-stock at the store – and purchase out-of-stock items online. If an item a customer wants is out of stock, it’s still incredibly simple for the customer to buy it online, and have it delivered right to their door. By offering a fully integrated, simple shopping experience that allows customers to always find what they want, satisfaction levels are increased, and customers can get exactly what they need, regardless of what’s in stock at a physical, brick-and-mortar location. The primary concerns of gift card consumers mainly involve unclear rules about purchase, redemption, and usage of gift cards. Concerns that gift cards would have additional fees and unclear regulations topped the list of reasons that consumers didn’t buy gift cards in 2016 – over 16% of consumers cited this as an area of concern. 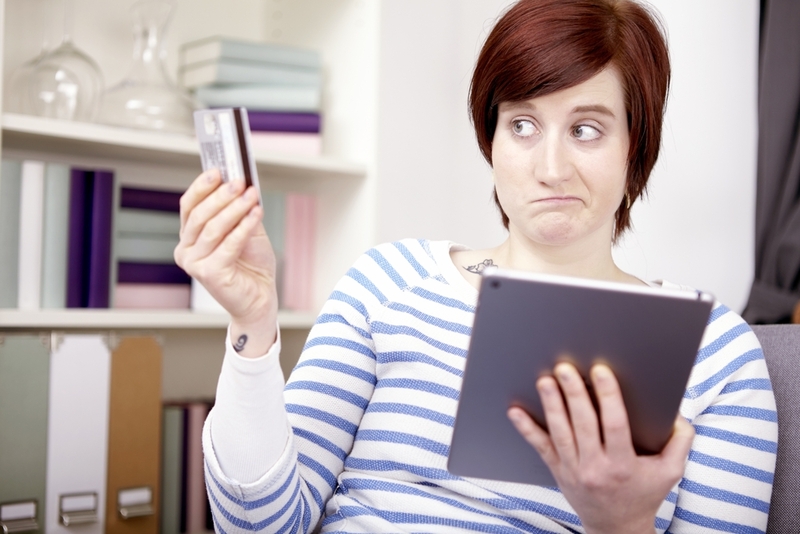 Consumers don’t want a confusing, unintuitive, or negative gift card purchasing experience. The purchase and redemption of a gift card is supposed to be a positive, fun experience – it is a gift, after all! Implementing a proper omnichannel gift card solution can provide retailers with the perfect way to guarantee an intuitive purchasing and gift card redemption experience. There are two sides to this – both the buyer and the redeemer of the card must have an awesome gift card experience. The buyer expects to be able to buy a gift card either online or in person – and have it be redeemable in both physical stores and online. The method of purchase shouldn’t matter – and if it does, that leads to an unsatisfying, unintuitive experience. The same goes for recipients of gift cards. Intuitively, they sense that they should be able to redeem their gift card at any of your stores, or online. If they can’t do so, they will be unsatisfied with your gift cards – as in our “Bob and Jeff” example in point #1. Nobody likes to be surprised by unintuitive rules and regulations on gift cards. Omnichannel gift cards allow you to avoid these surprises entirely – and provide your customers with an awesome, simple gift card purchasing and redemption experience. Though many retailers are offering both online and physical gift cards, their experiences are often less-than-satisfactory. The Retail Systems Research report we mentioned previously showed that nearly 10% of all retailers offering digital gift cards were totally unable to deliver on their offering. If you implement a smart omnichannel solution, you’ll beat out the competition, increase your customer satisfaction rates, and increase your sales – and what retailer doesn’t want that? If you’re interested in learning more about the gift card market, check out the EJ Gift Cards blog – we’re always providing stellar content for consumers and retailers that can help you understand this ever-changing market. And if you’re looking to sell unwanted gift cards, you’re in the right place – EJ Gift Cards offers hassle free payments for hundreds of unwanted gift cards via PayPal. Check out our website now, and turn your old gift cards into cash!